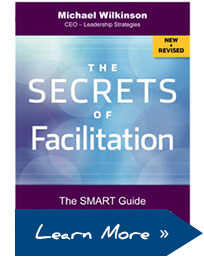 The Facilitation Mastery program is designed to move facilitators to the next level in their skill set and to prepare those who are ready to be certified by the International Institute for Facilitation as a Certified Master Facilitator (CMF). Your Master Facilitator for the program will be Michael Wilkinson, the Managing Director of Leadership Strategies and one of the first five Certified Master Facilitators in the world. Other CMFs will be engaged in the program from time to time to provide their expertise to help you along your facilitation mastery journey.